We had a wonderful time baking bread like ‘The Little Red Hen’. The children thoroughly enjoyed this ‘Talk for Writing’ story this term. 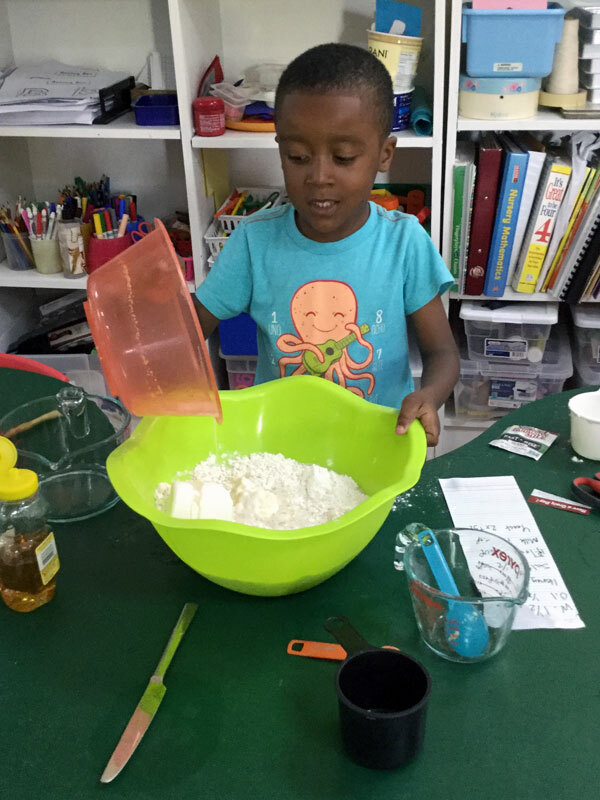 The class learned how to write a recipe and measure ingredients. They adored tasting the different breads. We made wholemeal buns, a wholemeal loaf and a white loaf. After sampling the bread we made toast. Look at the photos together with your child and talk about the steps they went through when they made the bread. Would you like to make some bread together? Can you find a recipe? I wonder how it will smell as it’s cooking and how it tastes – yum, yum! Take a look at our happy faces during varied outdoor play. 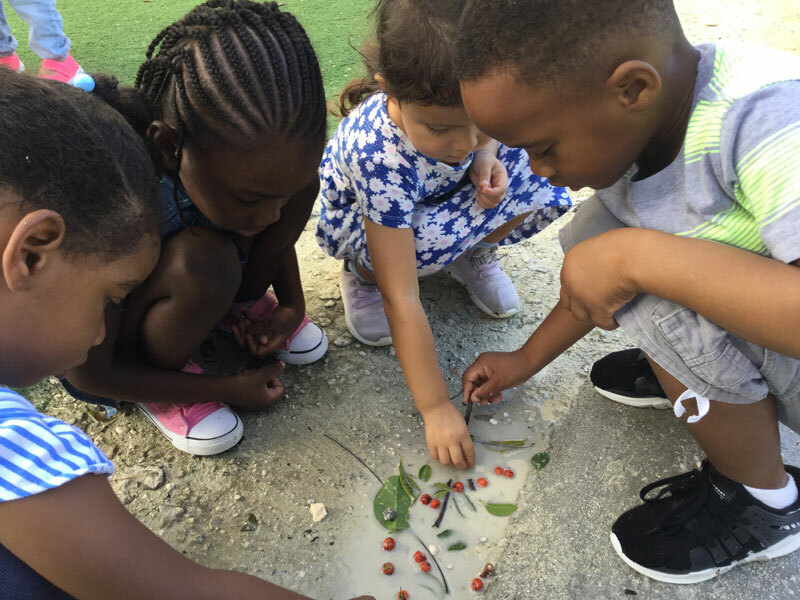 With the weather a little cooler right now, we have embraced the outdoors both by keeping our classroom windows open and spending more time outside. 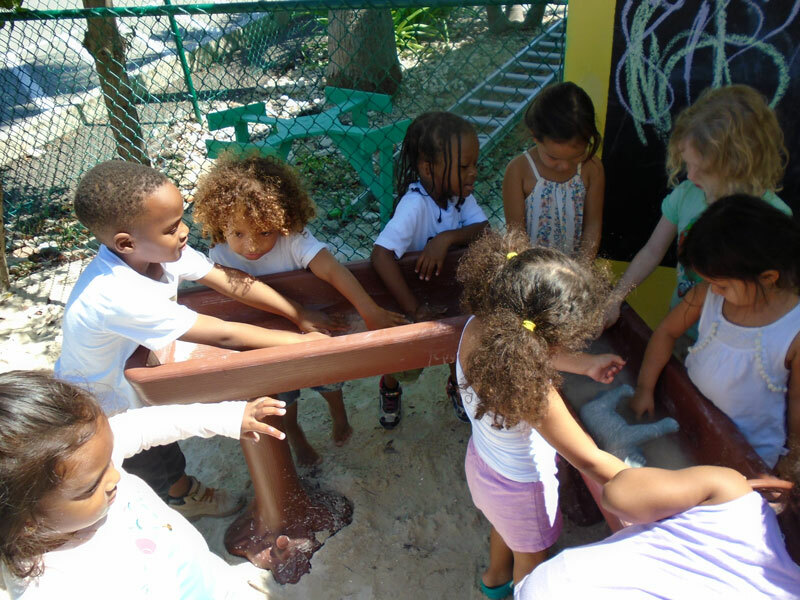 Outdoor play is not only beneficial, but also crucial for the brain’s healthy development. Researchers say that the frontal cortex, which is responsible for controlling emotions and problem solving, is activated during playtime. 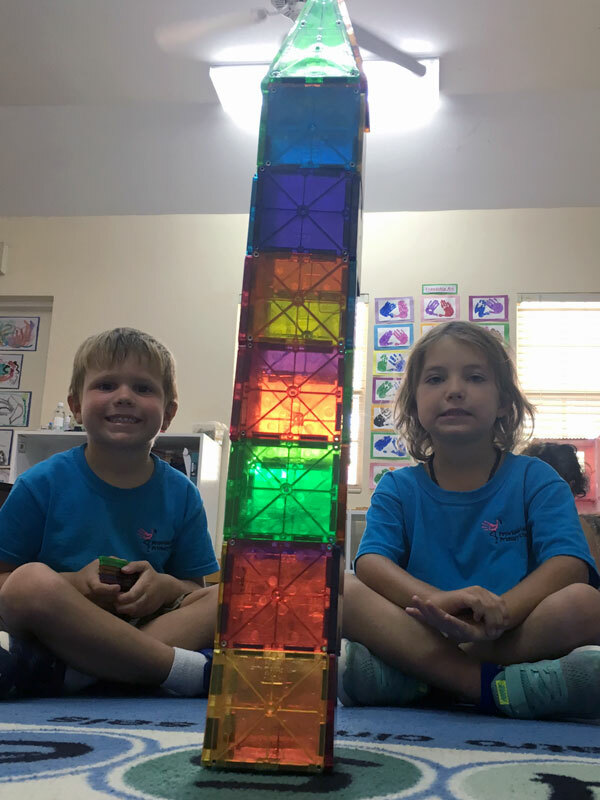 The experience of playing forces the brain to make those neurotransmitter connections that are critical to a child’s development. 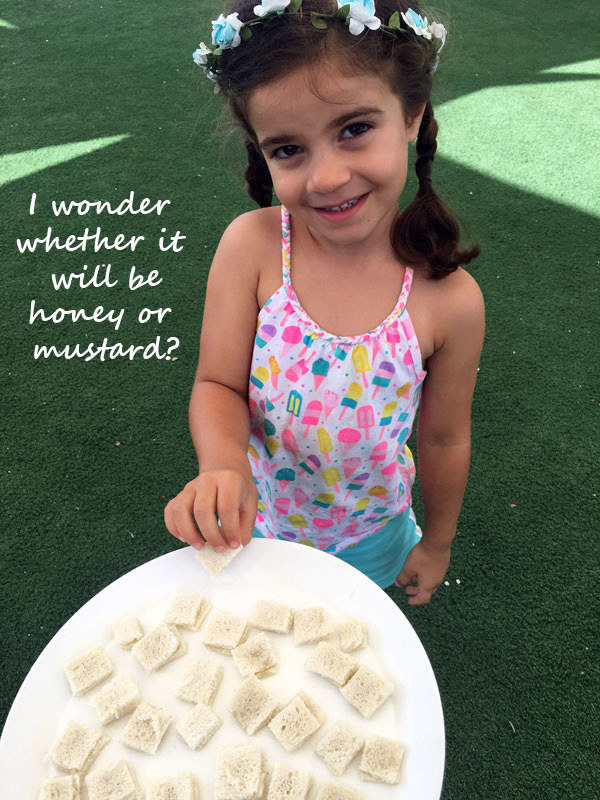 Its all about the Senses in JK! This term J.K. have been exploring the 5 senses. JK blasted off into space this term! The JK class blasted off into space this term and learnt lots of space and planetary facts. They even had some intergalactic guests of honor visit them to share knowledge about space stations and space travel. A big thank you to Aileen Shaw, who was a director at the Canadian Space agency, and Claire Green, who worked for a Canada tech firm that used satellites for search and rescue in Northern Canada. Have a look at the photographs below to see what the children discovered and created! 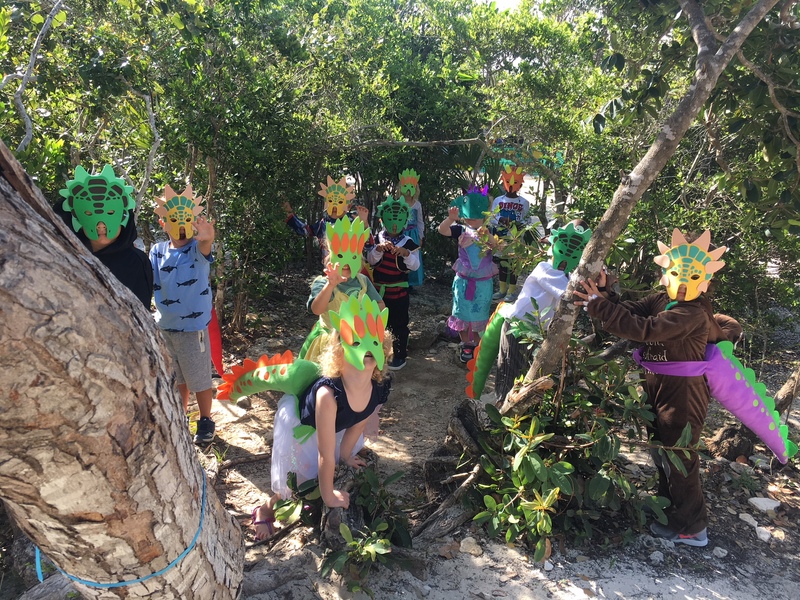 All the children had great fun on Dress Down Friday as hybrid dinosaurs. We have been talking about creative/realistic colouring and realistic colouring/drawing. Today the children had a great time bringing this to life! The children in J.K have been completely immersed in learning about dinosaurs. They are captivated by the mystery of these giant creatures. We even had a couple of experts from Year 3 come and do a presentation for us! Take a peek at our photos to see the following: our excavation area with a paleontologist hard at work, independent research groups reading about dinosaurs and artists busily documenting findings. 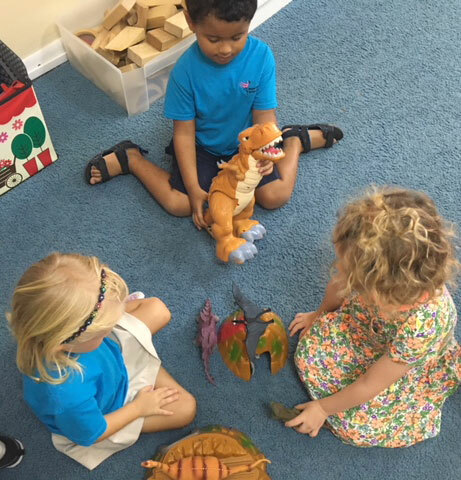 During role play, the children adore creating a dinosaur museum with their bodies and playing with the small world dinosaurs to act out the day to day life of a dinosaur. O ur topic on ‘Growing and Changing’ this term has been a fantastic to explore in JK! The children have sprouted some seeds and planted cuttings. We have learnt the parts of a flower and how to label a picture. Looking at books together, we have discovered many interesting facts about plants and nature. Though our topic is ending, we plan to keep our little garden for the rest of the year and attend to the plants needs of water and sunshine. Please see the photos for a little snap shot of our hard work! Also, please feel welcome to in and see our little plants anytime. In JK we are exploring and investigating all aspects of plants and growing. Every day we are leaning new facts about the nature surrounding us. 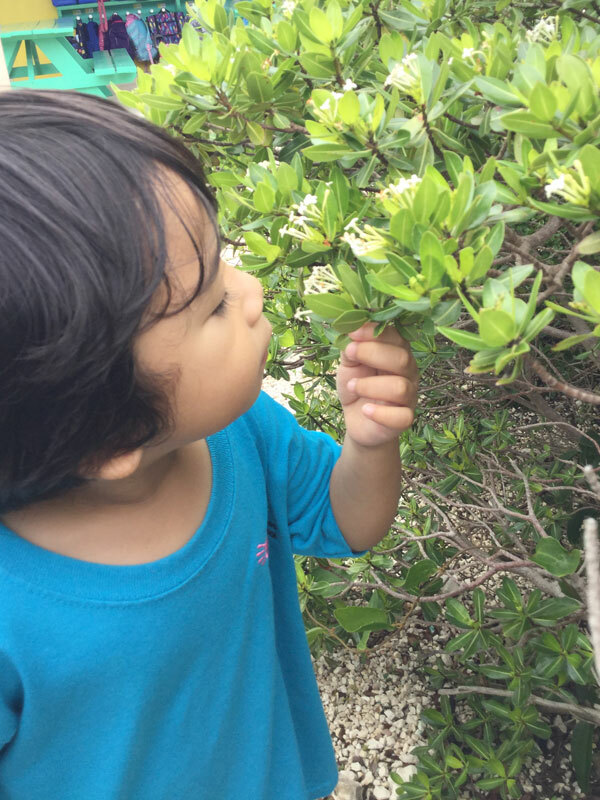 We have learned that we need plants and trees to help us breath. Investigating fruit and vegetables has been great fun. We discovered that some have seeds inside and some on the outside. Come in and visit our germination/sprouting area in our classroom. 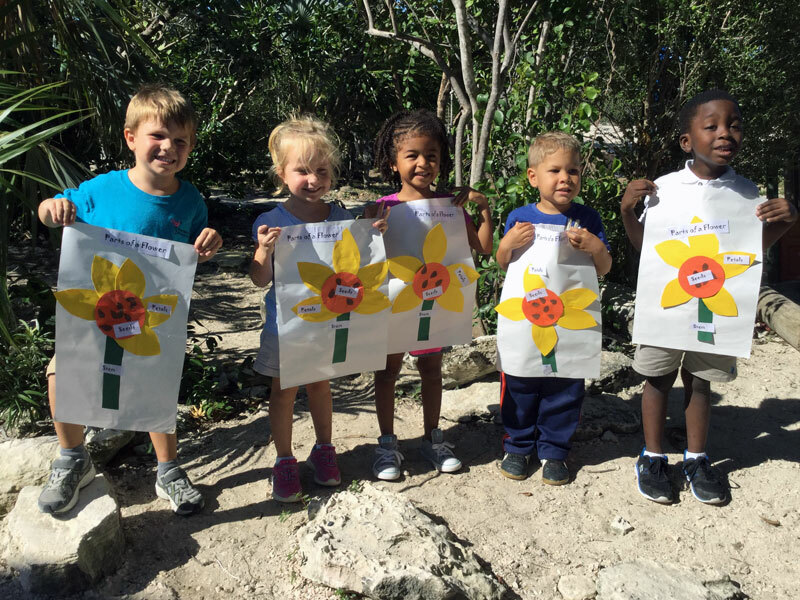 Please have a look at the pictures of the class on a nature walk. We found many different interesting plants, flowers, seeds and trees, all in our very own playground! We enjoyed using our senses to explore everything that we discovered. Wednesday 13th December – 6pm – at Provo Primary School. 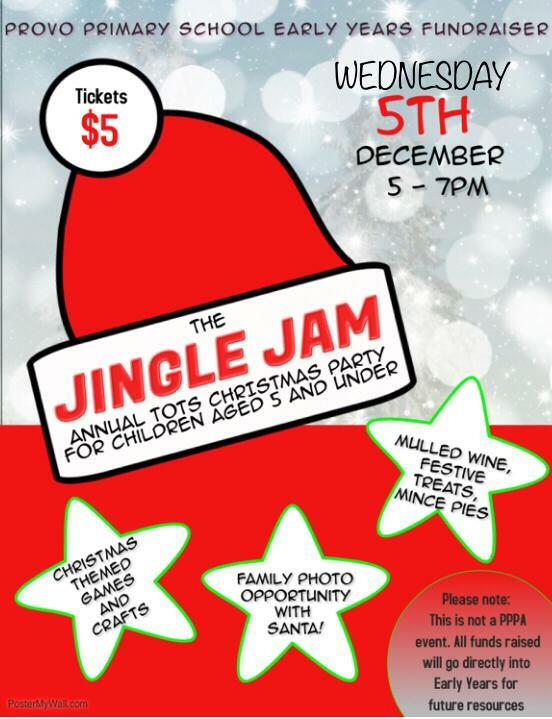 Buy your tickets in the school office or on IsleHelp from Monday 27th onwards. Email info@provoprimary.com or call 333 5638 for details or to make a reservation. 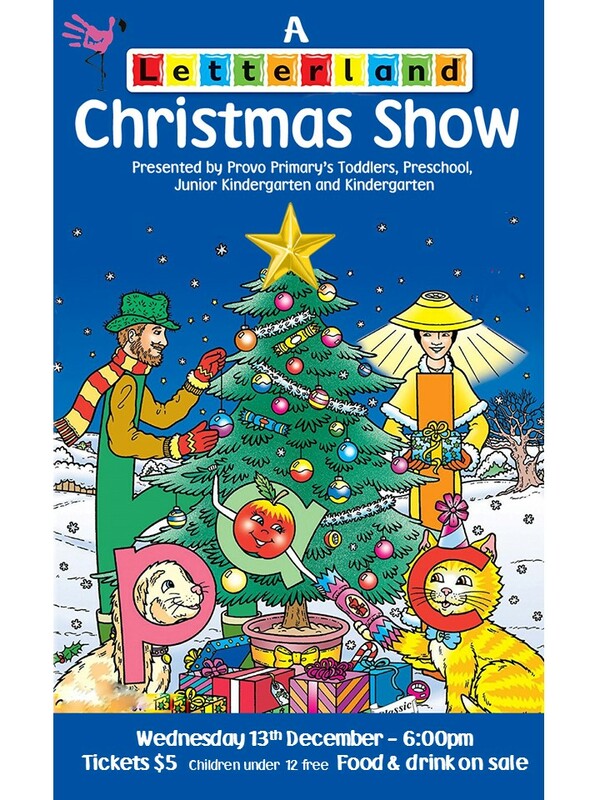 Synopsis: It is almost Christmas in Letterland and all the characters are getting ready for the annual Letterland Christmas Show. Little do they know, the rascal Red Robot, has a sneaky plan up his sleeve to ruin the show. Will the characters get their performances ready in time? Will Clever Cat and his team be able to follow the clues and solve the mystery of the missing props? Or will Red Robot succeed in his mission to make The Letterland Christmas Show a complete catastrophe? See if you can spot our silly sentences and the characters trying to begin all their words with their letter. In JK, we have started the term with a topic based around the story book ‘The Lighthouse Keepers Lunch’ by Ronda Armitage. 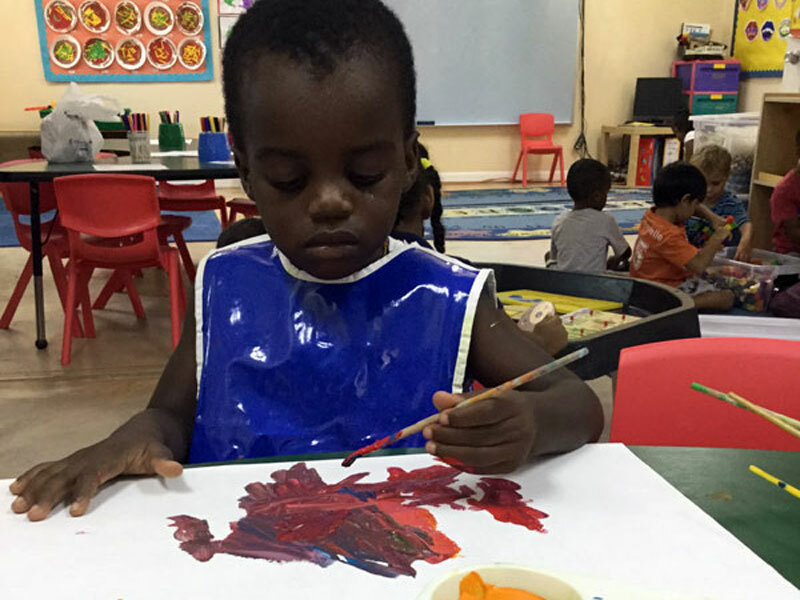 The children have adored learning the story through circle time readings, story maps, role play and art. Have a look through our pictures. The children loved pretending to be seagulls and pecking a sandwich to see if it was mustard or honey! JK enjoy up and down fun with the parachute on a windy day! J.K have been enjoying the recent cooler weather outdoors. In particular, it was great fun to use the parachute on the field! Please take a look at the pictures and video to see everyone laughing and quite literally bouncing with joy. With it being a windy day, all the children needed to work together and use amazing strength and gross motor skills to swoosh the parachute up and down. It was especially fun to take turns with going underneath the parachute! 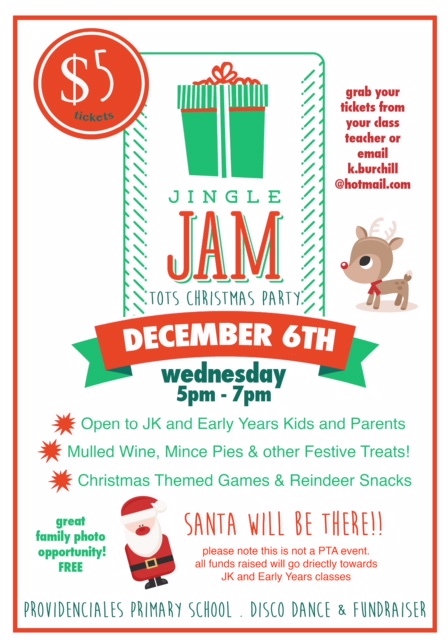 Please take a look at this wonderful video of J.K children playing on the slide. 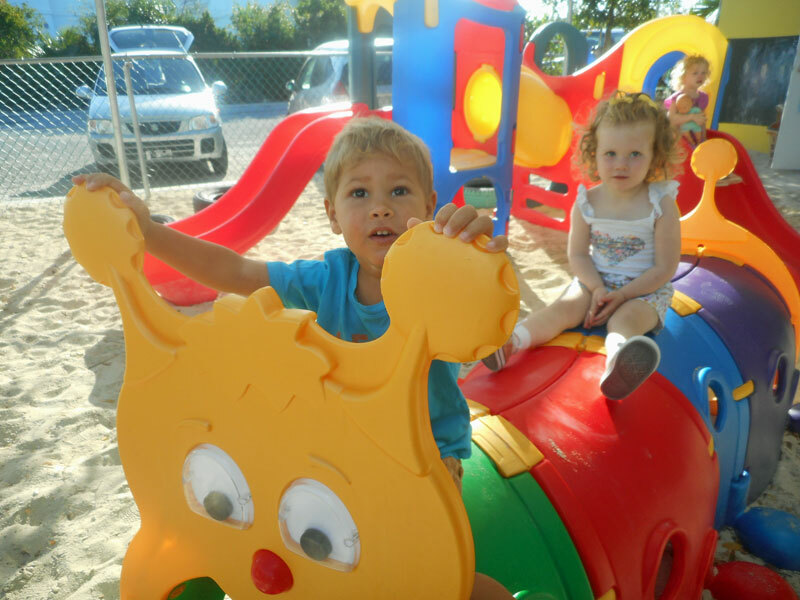 The children spontaneously created this game and managed the play by themselves. They played on and on, and everyone who wanted a turn of being the leader got their turn. 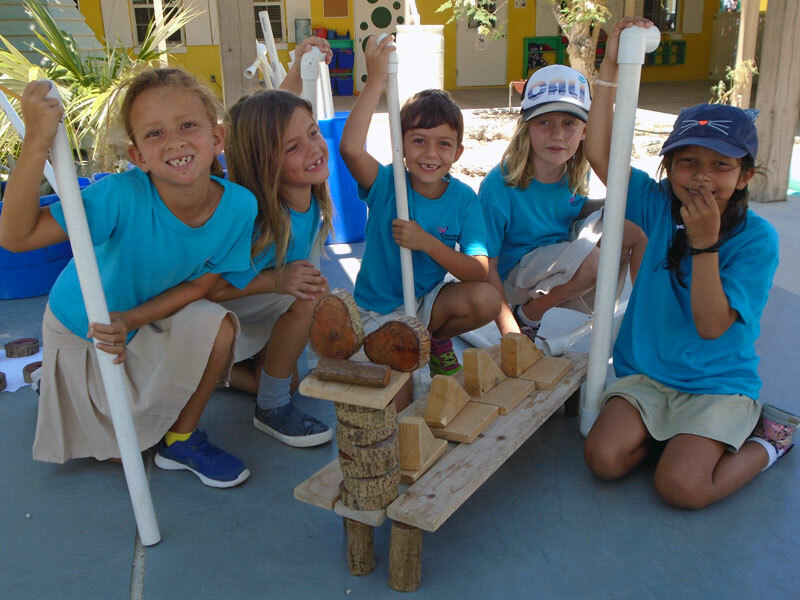 The skills displayed by the children included: negotiation, patience, taking turns, verbalizing needs, climbing, spacial awareness, consideration, communication, leadership, co-operation and observation. We hope you enjoy the video as much as we did watching them play. Well done J.K. Developing fine motors skills are important for writing, cutting and much much more! In the Junior Kindergarten class, we observe that the children are eager to begin writing. 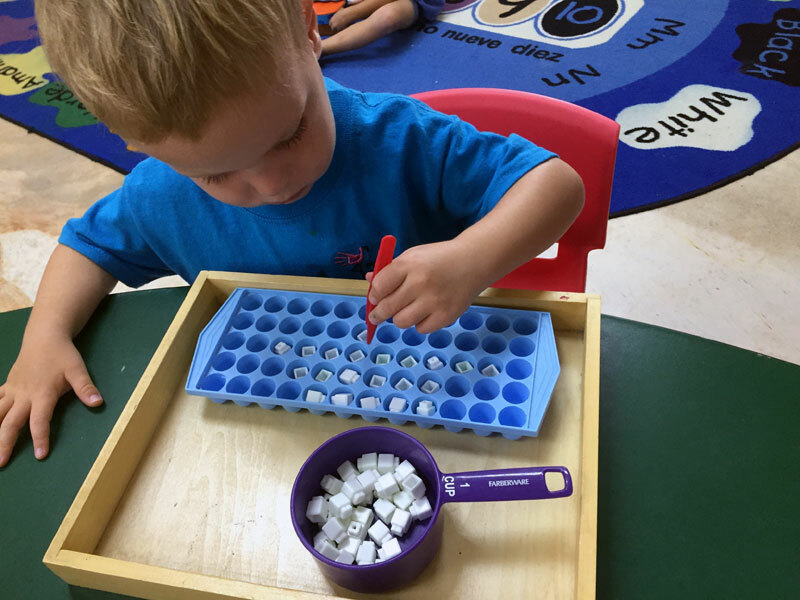 Developing fine motor control including hand strength and a strong pincer grip, are all essential foundation skills that will help lead to success when it comes to holding a pencil and forming letters and numbers. 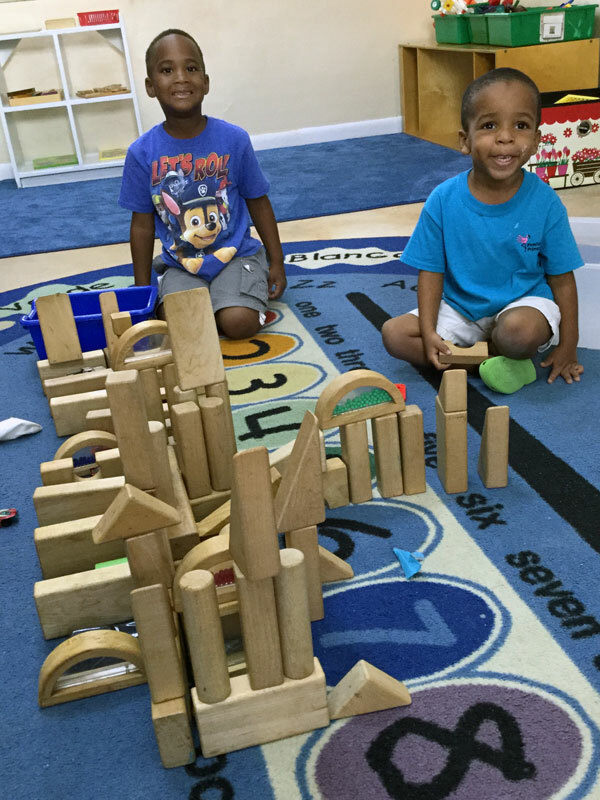 Fine motor movements involve the coordination of small muscles in the hands and fingers. 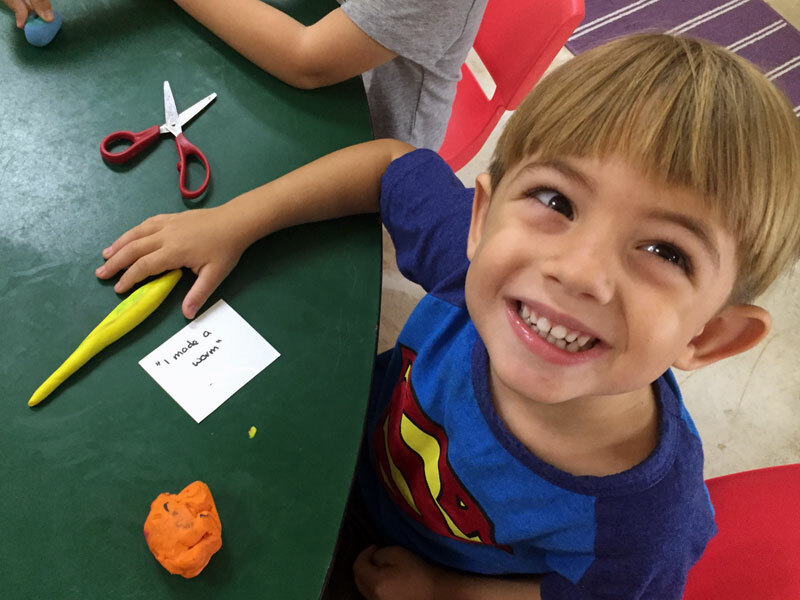 Along with helping with writing, strong fine motor skills are essential to complete tasks such as cutting, using a fork or spoon, threading beads, moving puzzle pieces, zipping, buttoning and tying shoe laces. J.K.’s little Scientists record what they see. We kicked off our J.K. Science topic this term with colour mixing! The children were mesmerized and enjoyed predicting what colour the paper towel might turn. We mixed red with blue, yellow with blue and yellow with red. While waiting for the towels to absorb the coloured water, the children were keen to record what they saw by drawing the experiment. The next day, everyone was excited to see how the colours had mixed and reflected on their predictions from the day before. Well done JK! JK love playing with Plasticine. Plasticine is a wonderful model making material is firmer and incredibly dense compared to play-doh. The children had great fun exploring it and chatting and naming what they were making. As well as being fun manipulating Plasticine strengthens the children’s fingers, hands, wrists and forearms. Have a look at our photos for a snap shot of our activity.